Any page on this website may contain affiliate links. Please see our disclaimer for more info. 3 It’s it all too hard! Too much to think about! How can I ever enjoy a cuppa again? 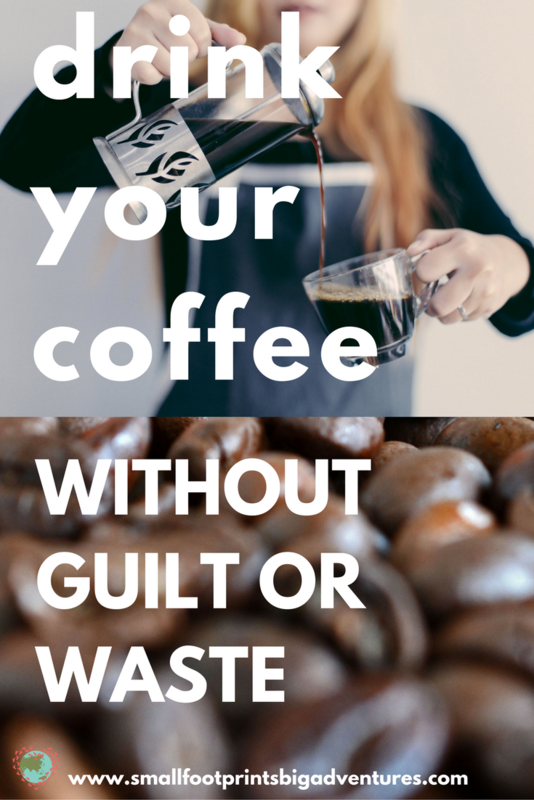 The ABC’s War on Waste series outlined that just in Australia, each year we drink enough hot drinks for all the disposable cups to circle the ENTIRE EARTH two and a half times! That’s billions of cups that are used once, and then going into landfill. They are not being recycled anywhere in Australia. It’s confusing as they seem like a recyclable product, and apparently they can be with the right machinery. But in the land of Oz we don’t have the capacity to recycle them yet. The compostable ones seem like a better idea, but unless you’re composing them yourself at home, they are not breaking down either. They need other compost mixed with the cup, but landfill is just a mess of plastic and other waste. These products have made home coffee-making easier, but like all single-use products, they are having a disastrous impact on the environment. Aluminium pods can be recycled but not in your home recycling bin. 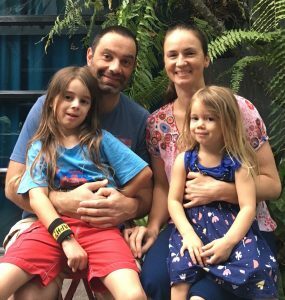 They must be returned to a designated recycling drop off point in some countries, and in Australia you can sign up for a capsule recycling program through the excellent Terracycle website. If you’re not recycling them in one of these ways, they end up in landfill and will take 150 – 500 years to break down. There are more types of pods available now that are biodegradable, some in a commercial composting arrangement and some at home. These still require some effort to make sure they’re going in the right place, and if they end up in landfill instead they will not break down as intended. I’ve read that some new pods are refillable and I think that’s probably a better solution. Using the others once and then managing a complicated recycling system to cope with the waste product seems unnecessarily time and labour consuming. Is it really easier and less messy to use a coffee pod? When you consider everything that happened to create the pod and then dispose of it, I’m not really sure it is. Coffee is a huge industry and there are millions of small growers in developing countries who provide it to the rest of the world. Brands that are certified Fair Trade ensure that a fair price is paid to growers for their product. They are easily taken advantage of by large corporations otherwise, and child labour often becomes a part of the process as families struggle to meet their quotas. Rainforest is cleared to grow large coffee plantations, and now they are grown in the sun rather than their traditional shade cultivation. Crops grown in the sun have higher yields but do not support plant diversity and animal species like shade crops do. They also require heavy pesticide and chemical usage that is harmful to workers and flows into adjacent waterways. There is also a lot of waste produced by coffee manufacturing, which affects soil and water quality too. Read more about the impact of coffee production here. It’s it all too hard! Too much to think about! How can I ever enjoy a cuppa again? Luckily awareness of these issues is growing, and access to products that do support people and the environment is quite easy. Making the commitment to change is the most important part. Start small and get comfortable with one change at a time if it seems overwhelming. You might be pleasantly surprised to discover a coffee shop who offers a discount for bringing your own cup also serves Fair Trade coffee. Or that a Shade Grown brand you’ve found for home is well worth the extra money as it tastes so much better! 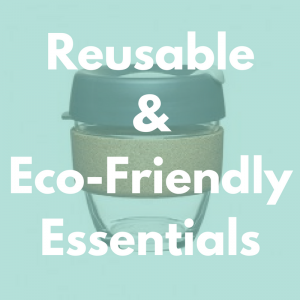 Buy a reusable coffee cup and get used to putting it in your car or bag before you go out. Practice asking for your cuppa in your own cup at your favourite coffee shop, or support one that offers a discount for bringing your own. Before long it will be second nature. Biome has a huge range of reusable coffee cups to choose from; you’re sure to find one that suits you. They have options made of glass, ceramic, stainless steel and BPA-free plastic. Support Fair Trade certified suppliers and find Fair Trade jars at the supermarket. Go to the Fair Trade website for an updated list of producers if you want to check on your favourite brand. Buy Shade Grown, Rainforest Alliance, Organic or BioDynamic coffee brands. Usually these are Fair Trade certified also. They may be a little more expensive but they taste better, and you will rest assured that they are grown sustainably. Try some compostable or refillable coffee pods, and contact Terracycle or your local program to organise recycling of your current brand. Perhaps partnering with friends who drink from pods too will make recycling them easier. Why is palm oil bad? And is boycotting it the answer? The best drink bottles for kids! Next story Respectful photography. How can taking a photo change the world? 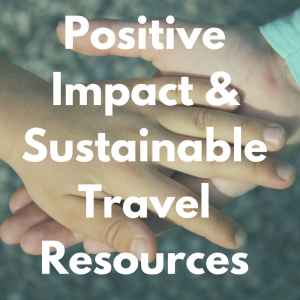 Do you want to have a positive impact as you travel? Or do you want to reduce your impact at home and transition to a greener lifestyle? Check out our LINKS & RECOMMENDATIONS below. Read through our BLOG POSTS to see how and what we do to live as lightly as we can. SUBSCRIBE to our monthly-ish newsletter for more goodness! And CONTACT US if you have questions or want some more personalised answers. Easy swaps to live greener today! 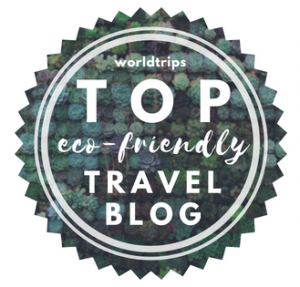 Subscribe now to receive occasional email updates about living more sustainably and travelling lightly, wherever you're going. 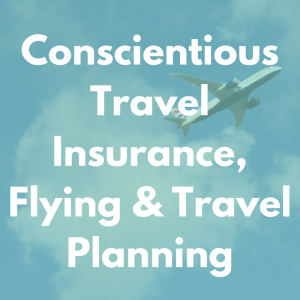 You'll also get links to new blog posts and first notice of special offers and news from our travels. Who are we? Click to read more about us. small footprints, big adventures © 2019. All Rights Reserved.